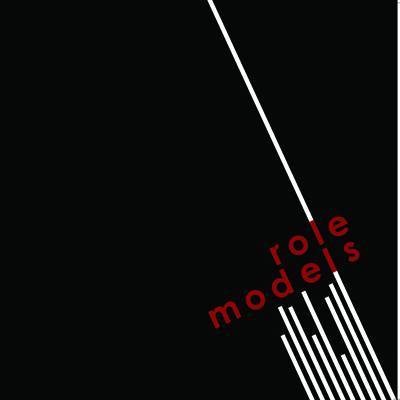 Mastering Role Models “The Go-To Guy” on Glunk Records. Produced and Mixed By Andy Brook and Mastered by Bass player Daniel Husayn at The London Bomb Factory; its a fantastic mix of dirty power pop, punk rock and good old Rock! Already getting rave reviews on websites like Uber Rock who said, ” ‘The Go-To Guy’ is one of the brightest debut albums in recent history”. 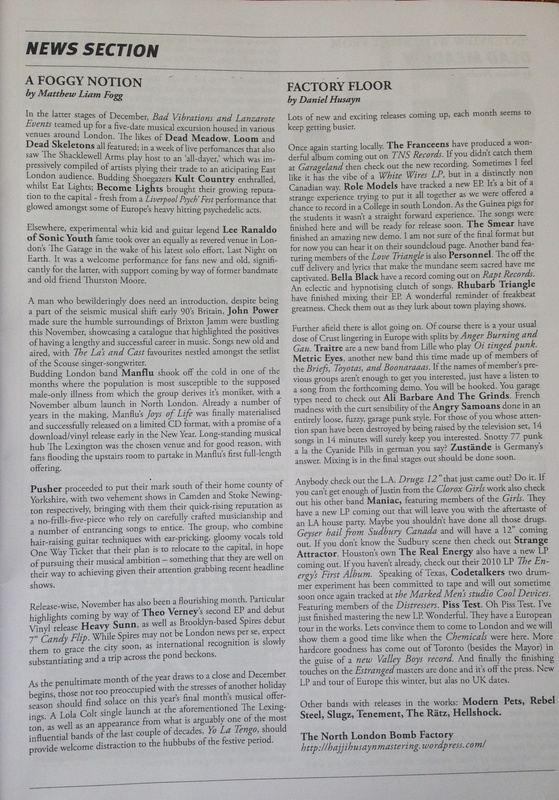 Punk Globe said, ” By the end of the first few plays you’ll be hooked and telling your friends about your new favourite band”. Mixing Role Models “Lost in the City” EP. “When you’re a kid, Friday nights are the best thing ever. No school, weekend to piss about with friends, best night of telly. Luckily Role Models never grew up and set about making their own seven day weekend. Meeting in London from their four corners of the globe they settled on Soho as their home, picking their way through the waifs and strays of the city after dark to find themselves playing the soundtrack. I will be on the road with Thee Spivs. 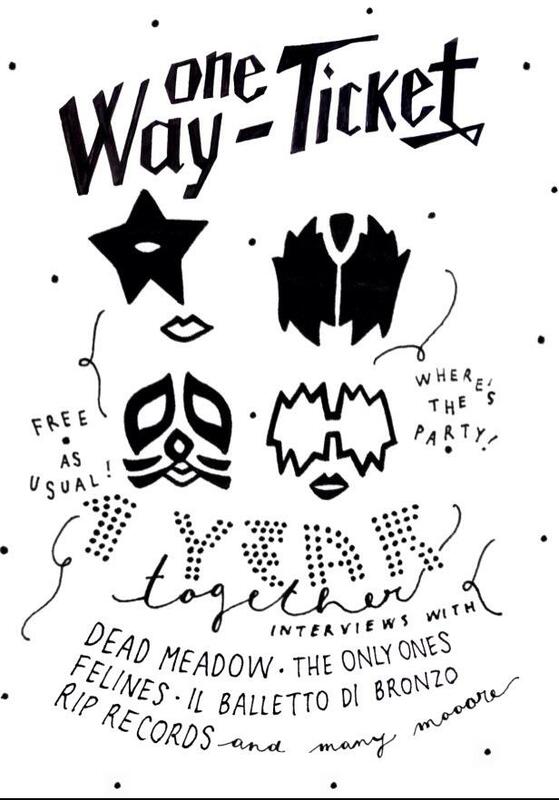 Come say hi, talk about records, and check out the new album! Role Models Autism charity single on sale NOW! 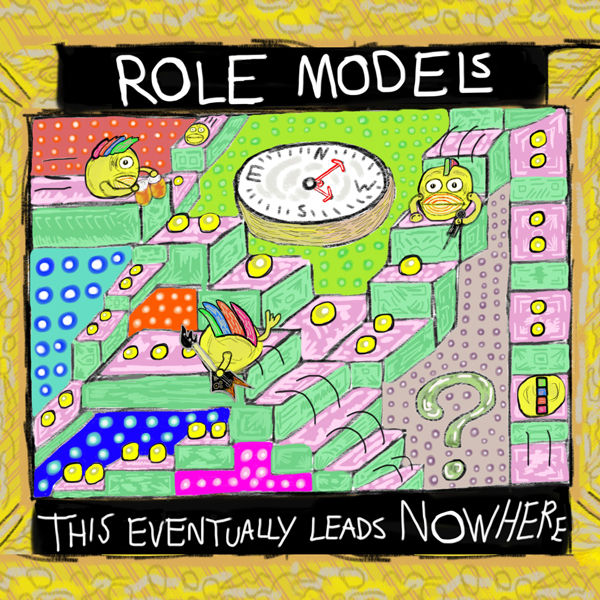 I’m really happy to announce the release of my band, Role Models new single – This Eventually Leads Nowhere. We’re realeasing this on behalf of the Haringey Autism and the National Autistic Society with every penny going to help them continue to run their safe play day for families with autistic children in the local area. It’s a truly important initiative, and one which allows the kids and parents alike to feel safe, relaxed and supported. Some of you will be aware it’s a cause which is really close to our hearts. Thank you so much to everyone who gave their time to make this happen (Andy Brook Chris Almeida Dave Kerr Michl Krenner and of course James Sullivan Daniel Husayn and Phil Smith) PLEASE download this song for just £2, or the EP for £5 and share this video. Thank you in advance and hope you enjoy! “Good Mornin’ everybody! Ya know how I usually give the ol’ “Rich Rags Story Time”? Well here’s an important one. When my son Zoli was diagnosed with autism I felt helpless. It was something I knew very little about, so I thought the worst. I tried to keep a brave face. And that exhausted me. So worried about him. As I worried and tried to learn about it, Zoli was growing to be an emotional, quite happy child. Who barely spoke. That inability to communicate his thoughts would send the lil’ guy into some serious spins of REAL frustration. I wrote this song for and with my son. And this charity is very close to our hearts, as it is something that we are involved with and frequent. As does many, many other families. That little meatball LOVES it! Hahahahahahaha! 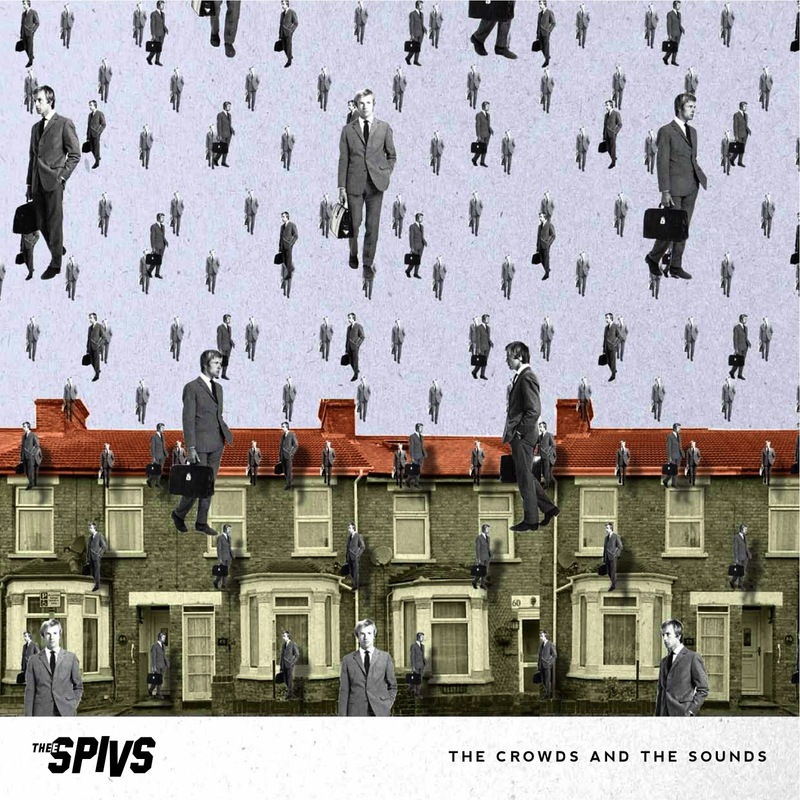 We are very happy to announce that Thee Spivs third album ‘The Crowds and The Sounds’ will be released this June 24th on Damaged Goods Records. A launch show in London will be announced very soon! 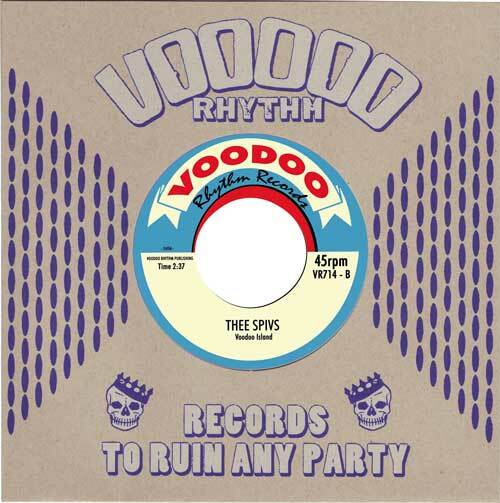 New Thee Spivs 7″ mastered here, on Voodoo Rhythm Records! “The time has come to unleash bullet train onto the ears of the public, and it’s on one of our favourite labels VOODOO RHYTHM! This very special 7″ includes ‘Bullet Train’ on the A-Side and ‘Voodoo Island’ on the B-Side and has an amazing cover designed by Beat Man himself. “BRITISH MOD PUNK AT ITS BEST, YOUNG SNOTTY POWERFULL AND WILD, TWO SIDES 45RPM AND A FULL KICK IN THE FACE. 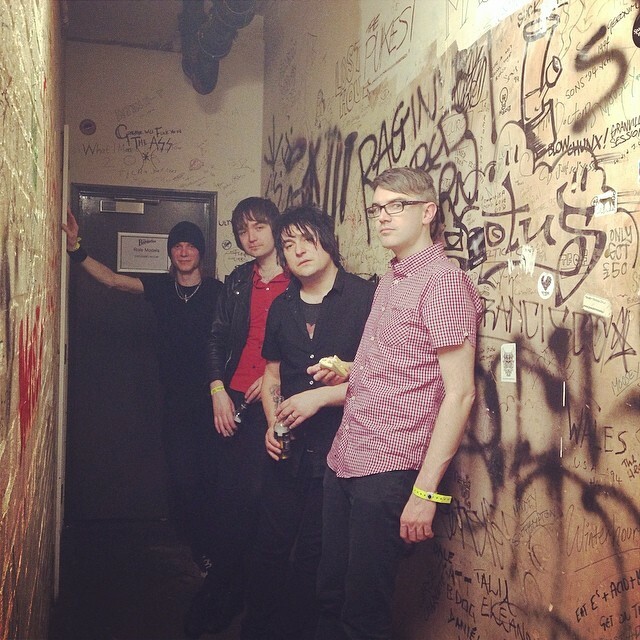 The Role Models have been Recording a new Single to benefit the British National Autistic Society. Andy Brook of Strummers Recording Studio has donated time for the recording of the track and North London Bomb Factory has donated time for Mastering. “How often do you find a band these days where you can’t stop, and don’t want to stop, playing their record? For me, this isn’t a regular occurrence, but when you want to tap your fingers in time to the songs, and are singing along to the words after the second time of listening, you know you’re on to a good thing. Role Models are based in London, and they live up to being influenced by The Replacements (circa ‘Pleased To Meet Me’ in my opinion), with some of The Kinks thrown in the mix. This is infectious, poppy rock ‘n’ roll at its best. The opening track ‘Little Let Down’ has all the right ingredients for a catchy radio hit – melodic guitars, gritty vocals and catchy choruses (something which features throughout the record – but this song especially). ‘New Reason’ has a more punky edge to it – dirty guitar in parts, gritty vocals, and a loud driving drum beat, which makes this track stand out for me overall. ‘Enough For Giving Up’ ends the record on a high, with a bouncy verse, making you automatically tap your foot along to the song in appreciation. The Role Models are featured on the Heavy Hearts benefit Compilation. “Earlier this year our friend (and Sorry & The Sinatras/ex-Trashlight Vision drummer) Lenny Thomas was hospitalised with a pretty severe injury to his foot. Unfortunately, things took a turn for the worse and became further complicated by his pre-existing diabetes and Lenny was hospitalised for quite some time. He’s slowly but surely on the mend now but medical bills are piling up and he’s likely to lose months of work if he’s even able to go back. So we decided to do something to help out Len with his medical bills and lost wages. We contacted our friends in the music community – bands that we played with, people who we’d toured with, friends’ bands and bands that we were fans of – and the response was overwhelming. Today we’re very proud to announce the release of Heavy Hearts, a benefit compilation with all proceeds to be divided between Lenny’s bills and the Juvenile Diabetes Research Fund. Released on April 6th, the compilation will feature songs from the likes of The Wildhearts, Michael Monroe, Piggy D (Rob Zombie), Steve Conte & the Crazy Truth, Eureka Machines, Sorry & The Sinatras, The Loyalties, and many more. A lot of artists were kind enough to donate rare or previously unreleased tracks to make this compilation even more special! A full track listing is available by clicking the artists link and the album will be available through the website from 10AM (UK time) on Friday April 6th.